At last we have proof! There are two nestlings at the Pitt peregrine nest. The second one hatched last night, April 22-23.
p.s. This snapshot is from the still camera found at this link. This year’s first chick was fed yesterday afternoon, but his mother’s back blocked the streaming camera so you probably couldn’t see it. Here’s a slideshow from the National Aviary’s snapshot camera. p.s. The snapshot camera is at this link. It shows the current still photo. Hope (mother bird) arrives at 9:38:07 to trade places with Terzo. Hope prepares to brood the chick at 9:41:56. We can see that the chick is fine. Hope settles on the nest at 9:42:35. The coast is clear for this chick. When Terzo arrives to trade places with Hope at 12:45pm, we can see the chick standing up, white and fluffy, in the slideshow below. Terzo settles on the nest. The chick is visible beneath his breast, 12:48:23. The first chick hatched without incident. We know from three years’ experience that Hope only kills a chick when it first hatches. Once she begins to brood it, the chick is safe. Caution! Don’t watch the eggs hatch at the Cathedral of Learning if it upsets you to see a mother kill her young. Five of us went birding in Schenley Park on Saturday morning April 20. The weather was great! Blue sky and puffy clouds. Our Best Birds were a yellow-rumped warbler and two ruby-crowned kinglets chasing each other and raising their red crowns. First-of-Year Birds were fun, too: Wood thrushes, house wrens, and a spotted sandpiper. We saw 29 species: ebird checklist S55174092. Schenley Park has few wildflowers because there are so many deer. We saw three in broad daylight on Saturday (same location as this March 27 photo). I’ve seen a herd of 21 in the past month. The flowers don’t stand a chance. Fortunately the deer leave the trout lilies alone. Perhaps these plants are poisonous. Leaf Out is coming. The red oaks have very tiny leaves. 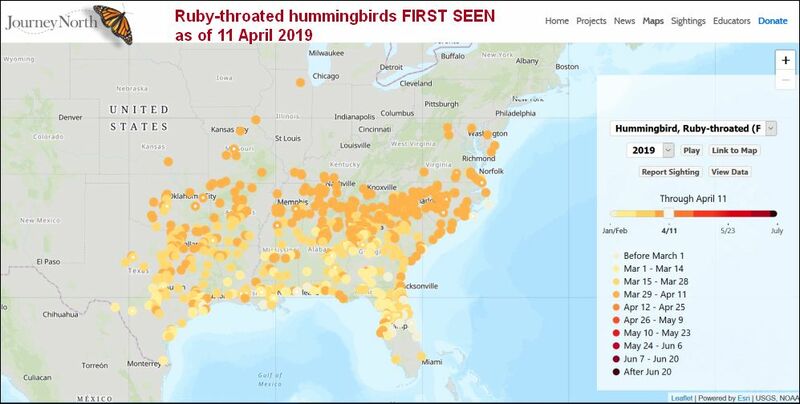 In case you’re curious, bird migration has picked up in the past two weeks. Here are the First-of-Year Birds I’ve seen in Schenley Park from April 10 to April 20, 2019.
p.s. For information on future outings, see the Events page. 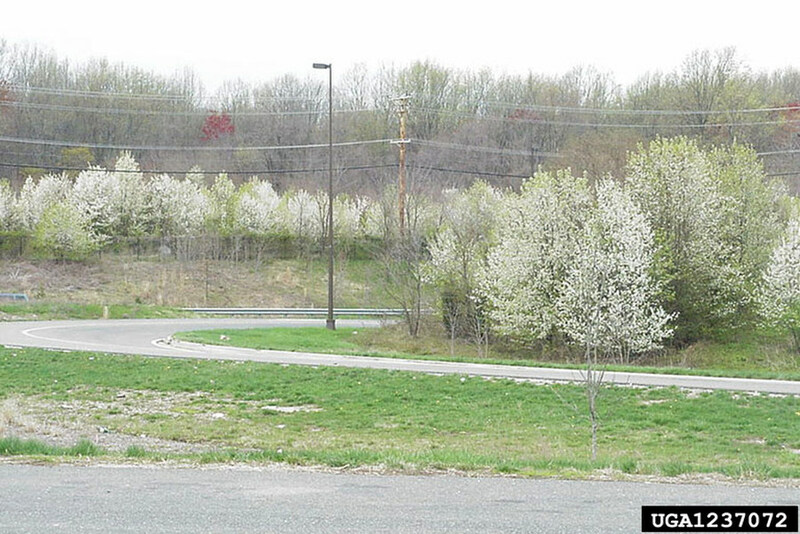 Wildflowers are blooming, elms are setting seed, and some early trees are leafing out. 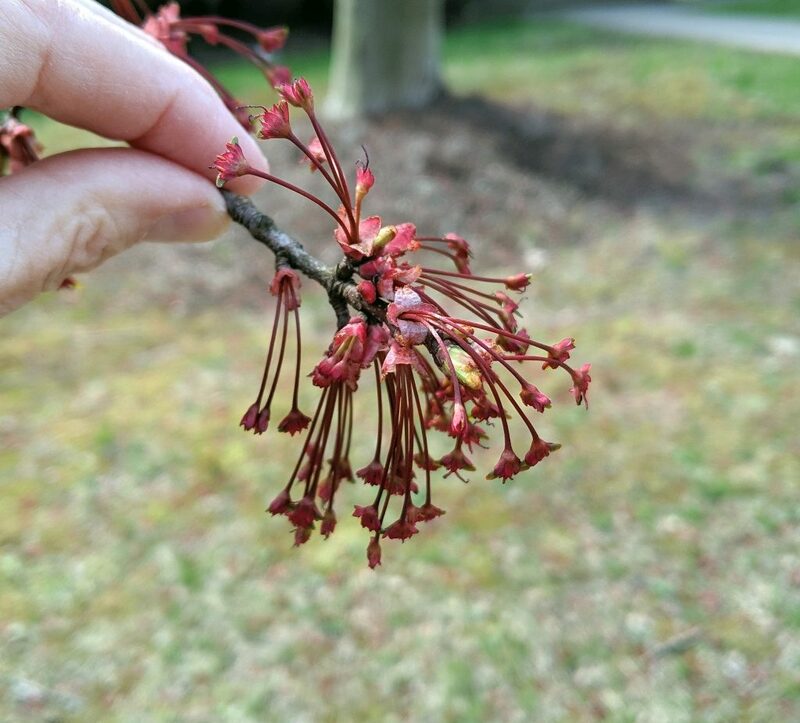 Here’s a sampling of buds and blooms this week in southwestern Pennsylvania. 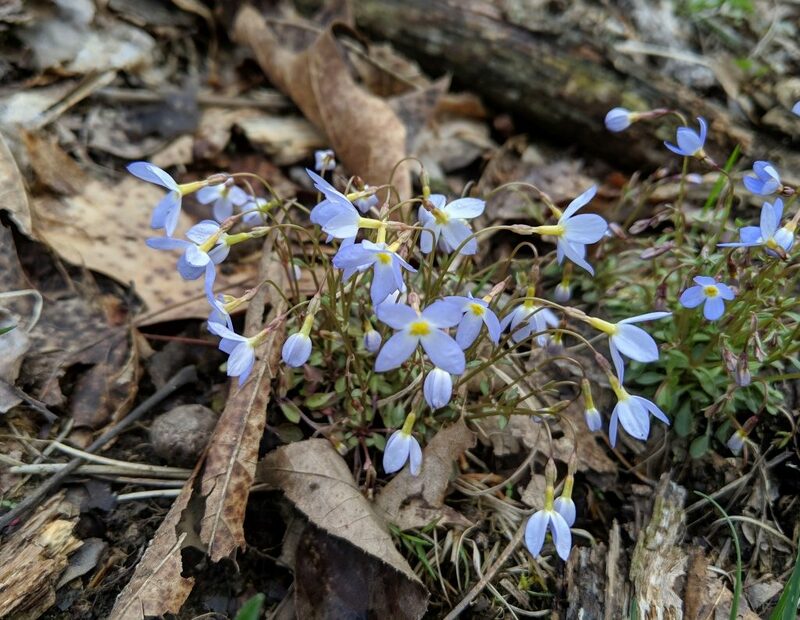 At Raccoon Wildflower Reserve on Tuesday our group found many flowers opening including bluets (above) and early saxifrage (below). Our complete list is at the end. The trail at Racoon Wildflower Reserve was littered with the tips of sugar maple branches, chiseled off by squirrels. 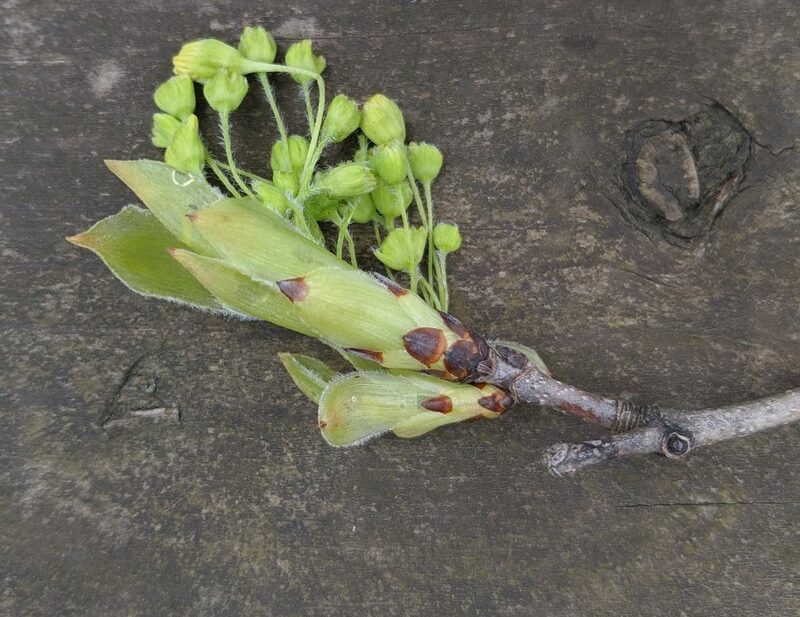 These Acer saccharum buds are opening to reveal new flowers. This spruce in Shadyside was flowering, too. 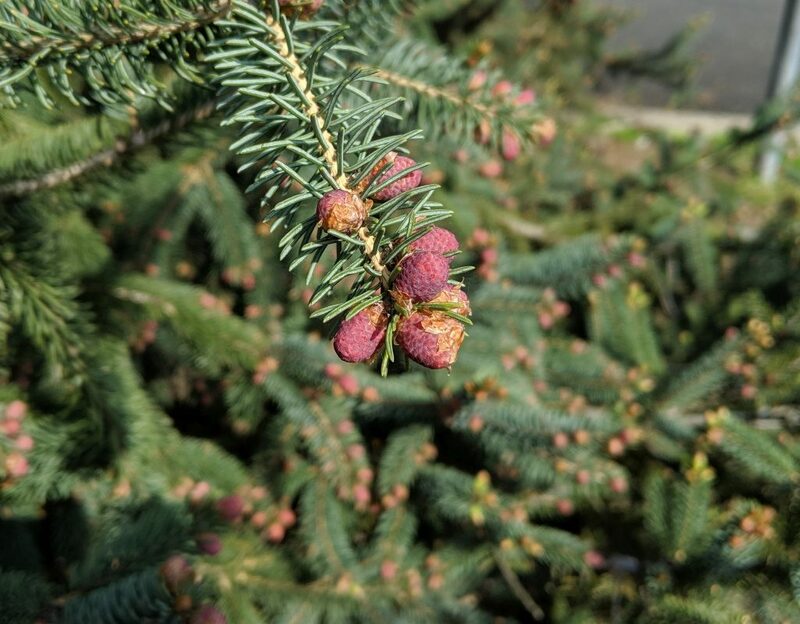 The pink buds will become cones. 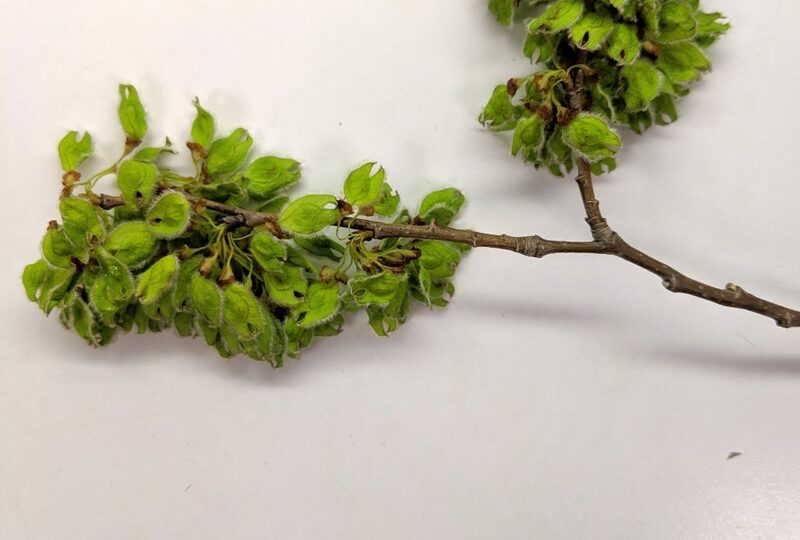 American elms (Ulmus americana) have already set seed. You can tell this is an American (not slippery) elm because the samaras are deeply notched. 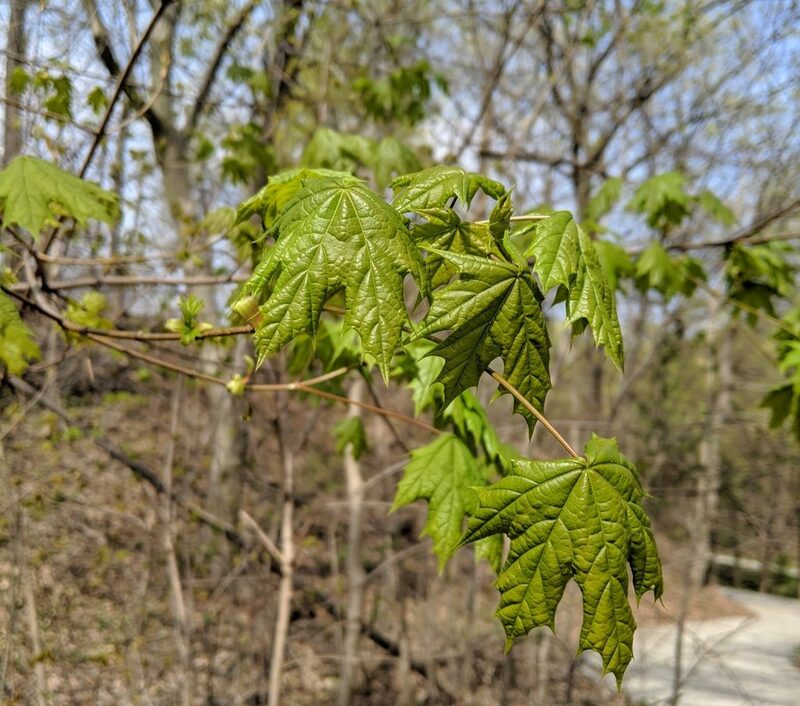 In Schenley Park, invasive Norway maples (Acer platanoides) are leafing out. 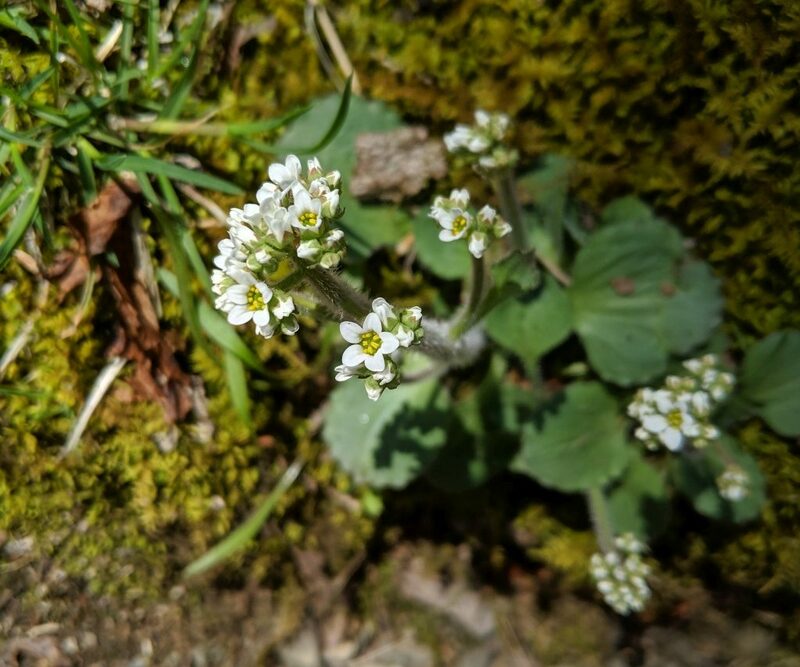 Spend time outdoors this weekend and see what’s blooming near you. Here’s are list of flowers seen at Raccoon Wildflower Reserve on Tuesday 16 April 2019, in no particular order. Many flowers were only beginning to open. By now they’ll be in full bloom. Smooth rock cress (Boechera laevigata) This plant looks weedy but has its charms. Wild blue phlox (Phlox divaricata) Not open on Tuesday but will be blooming now. If you have a cat, keep this plant far away from him. Easter lilies are extremely poisonous to cats. Native to Taiwan and the Ryukyu Islands of Japan, Easter lilies (Lilium longiflorum) are popular flowers at this time of year. Unfortunately every part of the plant is poisonous to cats: the flowers, the leaves, the stem, even the pollen. Easter lilies are so poisonous to cats that if the pollen touches her and she grooms it away, it will poison her. The result is severe kidney failure. The poisoning occurs quickly. Signs are evident within 6-12 hours of exposure. There is no antidote but immediate veterinary attention will improve the cat’s chance to live. If your cat is seen consuming any part of a lily, bring your cat (and the plant) immediately to a veterinarian for medical care. Do you have a dog? No worries. 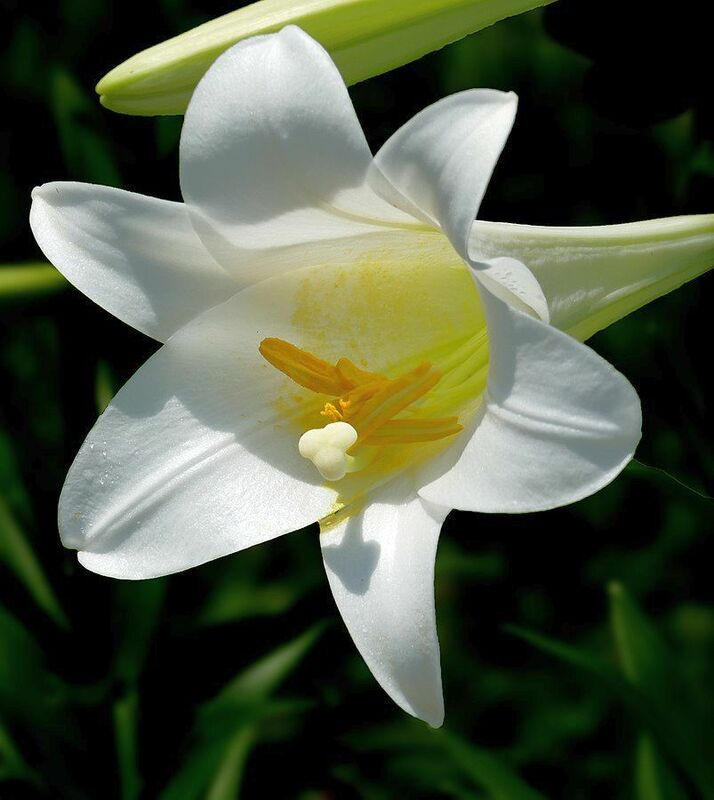 Easter lilies are not poisonous to dogs. This message only applies to cats. 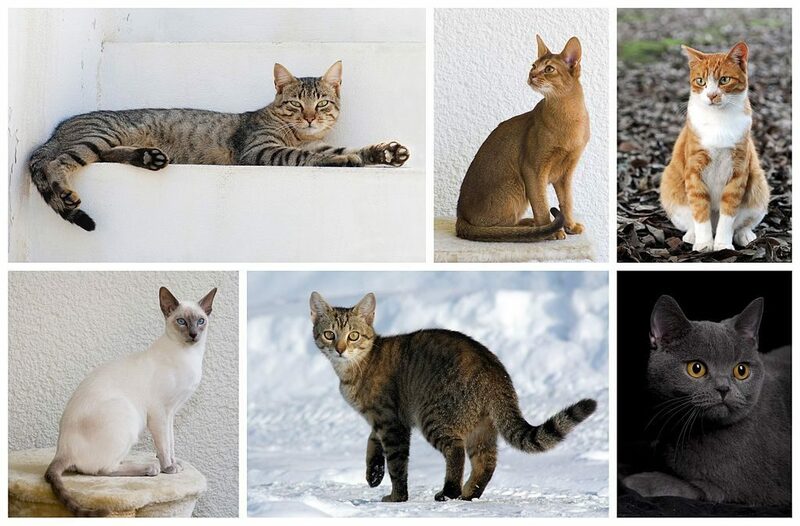 Read more about cats at the Pet Poison Helpline. Read about dogs and lilies here. p.s. Members of the Lilium genus are favorite foods for deer. I have not seen deer eating Easter lilies but I bet they love them. Monarch butterflies are famous for migrating long distances from North America to Mexico but they’re not the only butterfly that travels far. Red admirals migrate, too. Red admirals (Vanessa atalanta) occur in Europe, Asia and North America. Though the European population can hibernate, red admirals on this continent migrate south to places where their favorite host plant — stinging nettle — grows throughout the winter. In eastern North American they spend the winter in south Texas. Over the winter a new generation of red admirals matures to fly north and repopulate the continent. 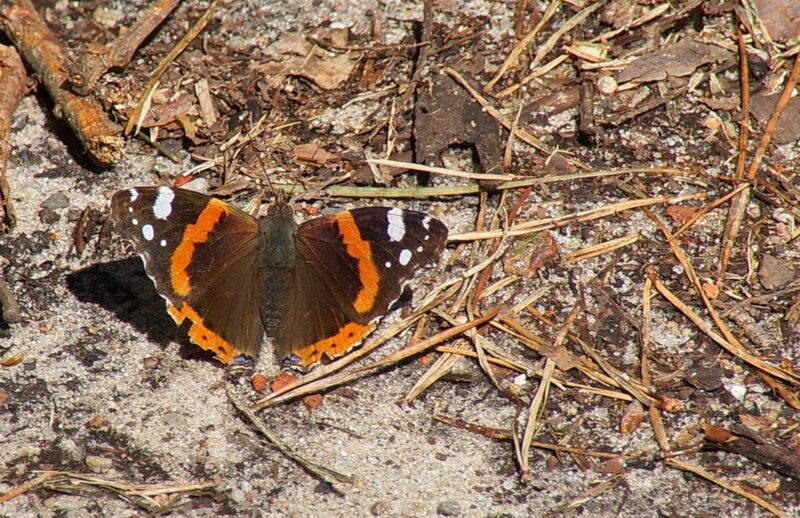 We usually don’t notice them but in the spring of 2012 hot weather came so fast that red admirals passed through Presque Isle State Park in a couple of days on mass migration. On Throw Back Thursday read about the amazing number of red admirals in 2012 in this vintage blog: Mass Migration. Why don’t we see them migrating more often? Perhaps they’re traveling high above our heads. According to Wikipedia: “During migration, the red admiral flies at high altitudes where high-speed winds carry the butterfly, requiring less energy.” Oh my! The peregrine eggs at the Cathedral of Learning nest are due to hatch next week, but here’s a word of caution: You won’t want to watch. My calculation says that hatch day for Hope and Terzo’s eggs will be next week, some time between Monday April 22 through Thursday April 25, 2019. However, it won’t be a happy event. Hope has a habit of opening some of the eggs with her sharp beak, killing and then eating some of her chicks. Her behavior is abnormal and upsets nearly everyone who sees it. She has done it every year. 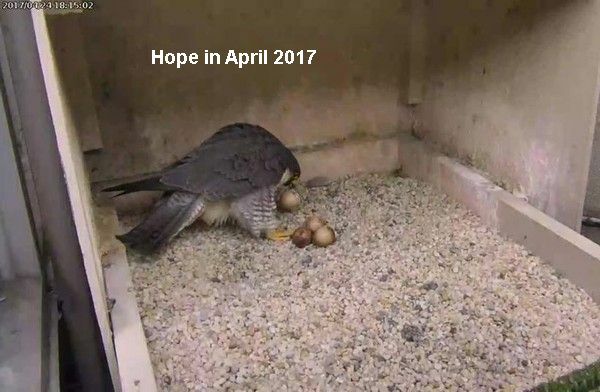 In 2016 Hope killed and ate two chicks before they could emerge from their eggs. In 2017 she killed one. In 2018 she killed two. p.s. 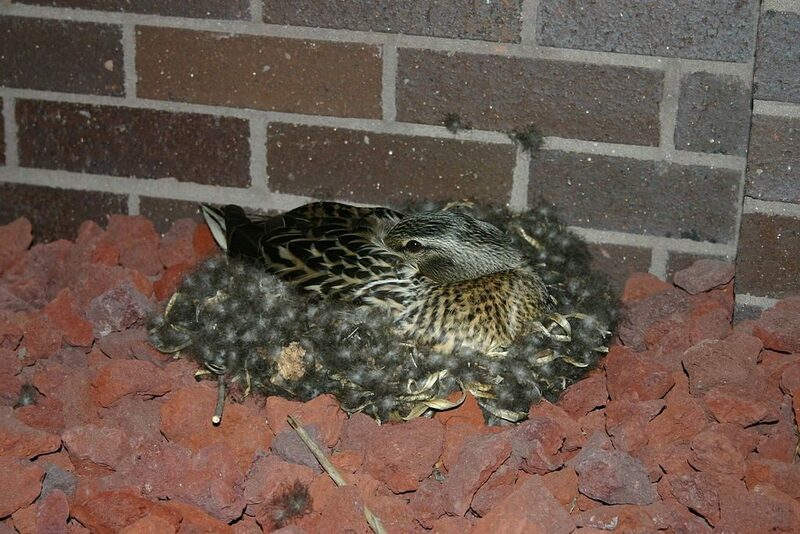 After hatching is over Hope is a good mother, caring for her chicks and guarding them against danger. From 2016 through 2018 she fledged six youngsters from the Cathedral of Learning. Spring is popping in southwestern Pennsylvania. Here’s what to look for in late April. Branching! Great horned owlets are growing up fast. At the earliest nests owlets will walk on nearby branches before the leaves come out. 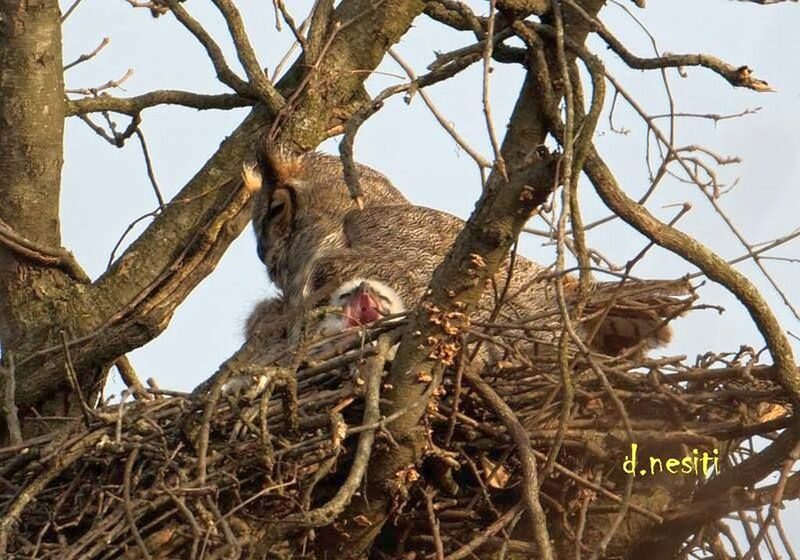 Dana Nesiti photographed this yawning owlet in early April. Nest building: Songbirds are building nests especially American robins, song sparrows and Carolina wrens. House sparrows flutter by with cellophane for their nests. Migration: Blackbirds and tree swallows are here. Gray catbirds are coming soon. Also Louisiana waterthrush, yellow-throated warbler, hermit thrush, ruby-crowned kinglet, blue-headed vireo, brown thrasher, blue-gray gnatcatcher, pine warbler, northern parula, chimney swift, barn swallow and house wren. See them on an outing with the Three Rivers Birding Club. 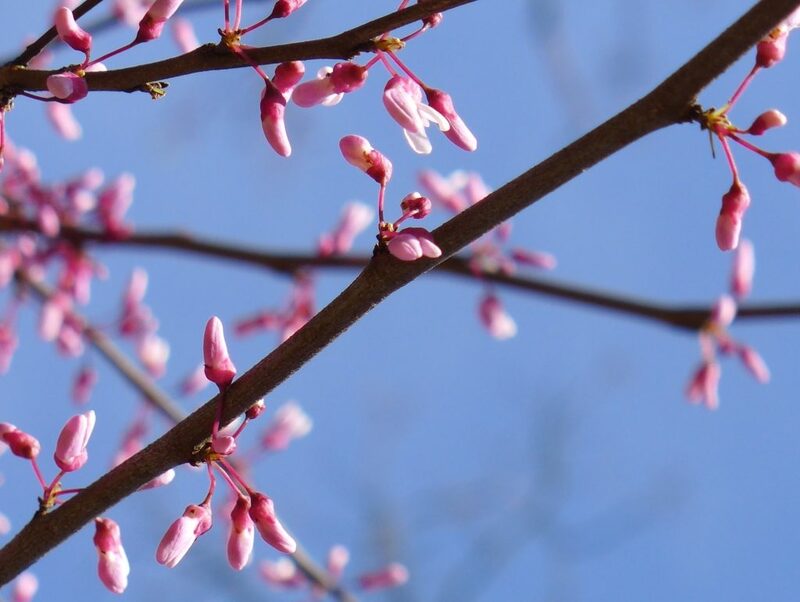 Trees: Flowering trees include redbud, downy serviceberry, cherry and more. “Leaf out” comes in early May. Wildflowers: Violets, large-flowered trillium, trout lilies, Virginia bluebells and much more. 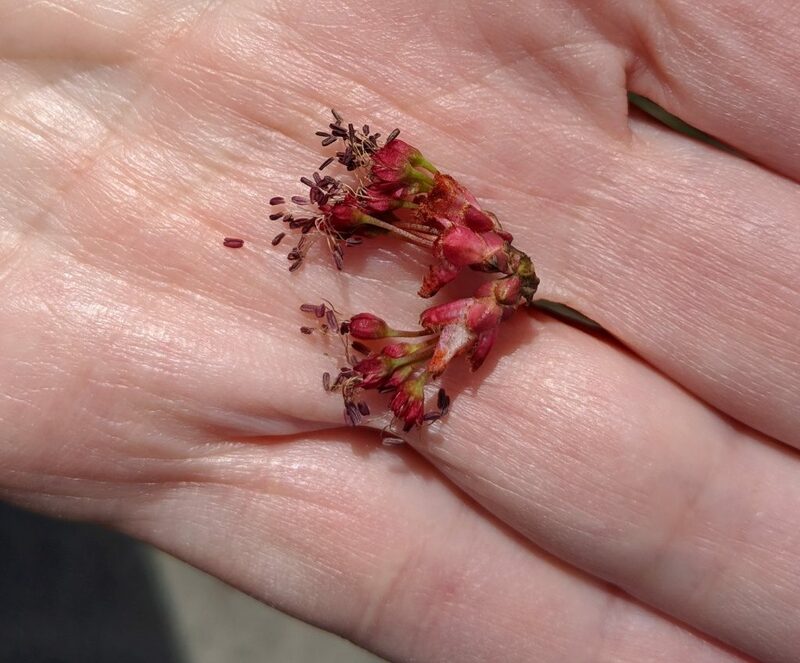 Get outdoors with the Botanical Society of Western PA or Wissahickon Nature Club. 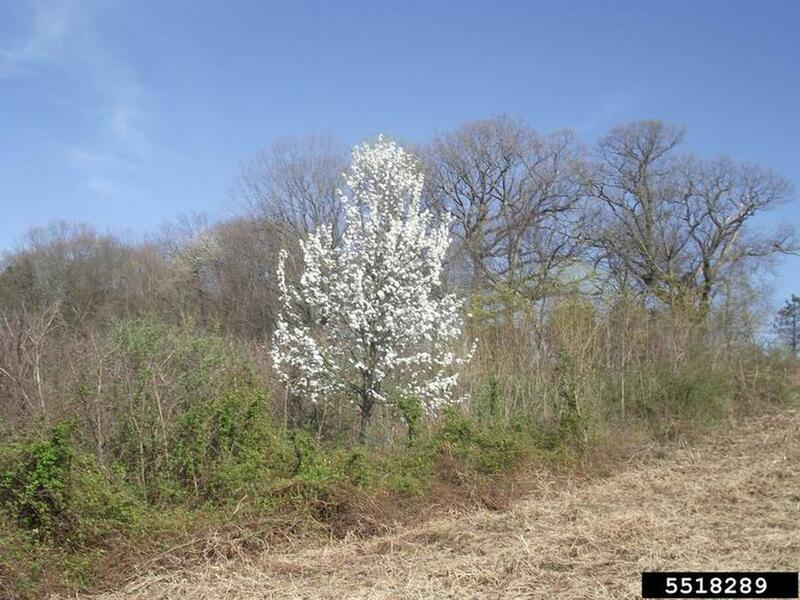 Visit Enlow Fork on the last Sunday in April for the Enlow Fork Extravaganza starting at 8:00am. Butterflies: Spring azures, cabbage whites, eastern commas, orange sulphurs, red admirals. Turkey season: Be careful if you hear a turkey calling; it might be a hunter. Spring Gobbler hunting season runs from the last Saturday in April through all of May. Junior hunters get a one-day early start on the next-to-last Saturday (April 20). In late April, spring is happening fast. Don’t miss it!